The Irish prime minister has proposed an EU-UK custom union and a transition period for the UK as a way of keeping an economic open border between Ireland and Northern Ireland after Brexit. 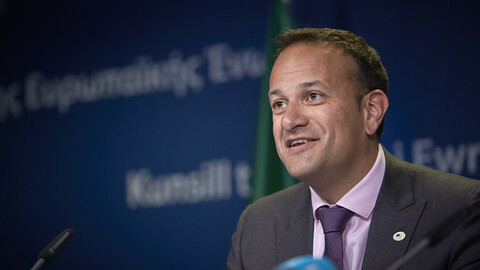 "If the United Kingdom does not want to stay in the [EU] customs union, perhaps there can be an EU-UK customs union," Leo Varadkar said during his first visit to Northern Ireland on Friday (4 August). "We have one with Turkey. Surely we can have one with the United Kingdom?" he noted in a speech at Queen’s University Belfast. 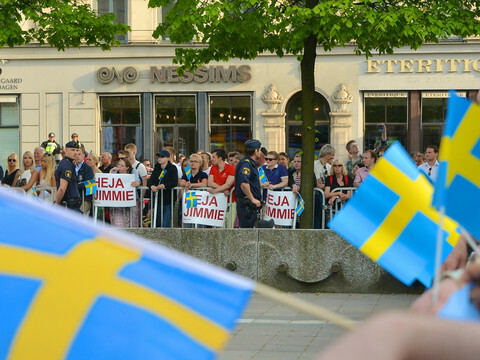 He said that he also favoured the UK joining the European Free Trade Association (EFTA) - alongside Iceland, Liechtenstein, Norway and Switzerland - as a way for the country to remain associated with the EU single market. "If this cannot be agreed now, then perhaps we can have a transition period during which the UK stays in the single market and customs union while these things are worked out," he said. 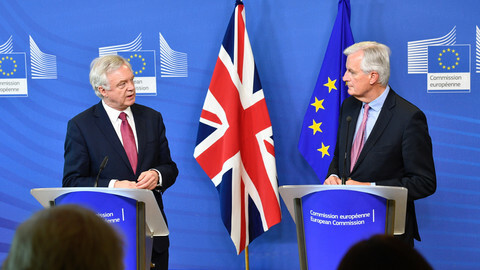 The question of a transition period after the UK leaves the EU on 29 March 2018, in order to avoid a "cliff edge" scenario, has not yet been proposed by the EU Brexit negotiator Michel Barnier. 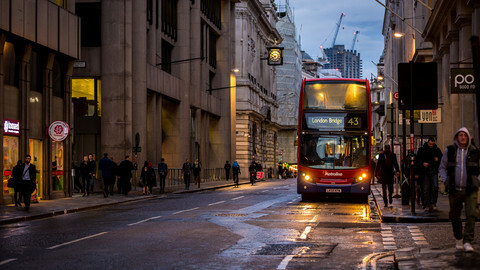 It has been debated inside the UK government, with chancellor of the exchequer Philipp Hammond proposing a transition until the next UK election - due in 2022. In any case, the Irish PM warned in Belfast that "these solutions will not be offered, they will have to be asked for." Repeating the EU line, he said "this can happen only after sufficient progress is made on an agreement on the financial settlement, protecting citizens’ rights and key issues relating to Ireland." 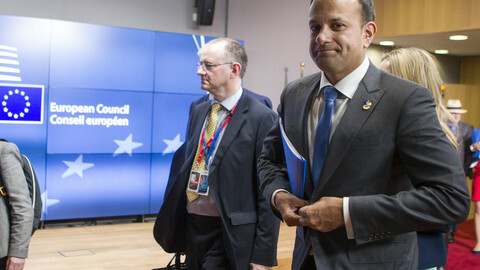 The European Commission declined to comment on Varadkar's proposals. Varadkar, who was born in 1979 and became Irish taoiseach in June, said "the challenge in our generation is Brexit". He said that, "like nearly everyone else on this island," he does not want to go back to the times when the border was "a place of bloodshed and violence, of checkpoints." He said that almost 20 years after the 1998 Good Friday agreement, which put an end to the sectarian violence known as the Troubles, "the vast majority of people on both parts of the island voted for a new future based on power sharing, equality, mutual respect and co-operation North/South and East/West." "There are people who do want a border, a trade border between the United Kingdom and the European Union and therefore a border between Ireland and Britain and a border across this island," Varadkar pointed out. "These are advocates of a so-called hard Brexit." He pledged to do "all we can, in Brussels, in London and in Dublin, to achieve the best outcome for everyone on this island - to protect our peace, our freedom, our rights, and our prosperity." 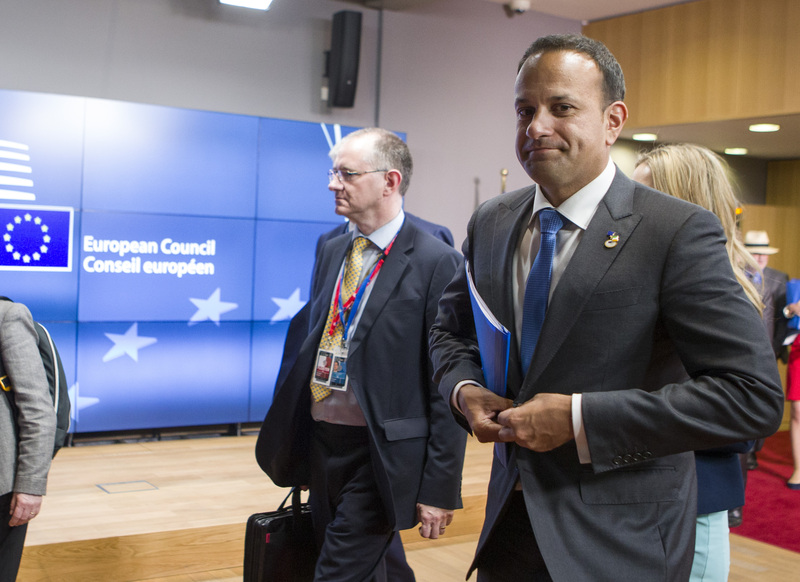 The Brexit negotiations have started, and the Irish PM's visit came as institutions in Northern Ireland have been on hold since the shared government between unionists and nationalists collapsed and elections in March failed to produce a majority. Varadkar, who was due to meet Northern Irish political leaders later in the day, said that his government, as well as the EU, now need to talk to Belfast. "Who will speak for Northern Ireland and her 1.8 million people? Time is running out, and I fear there will be no extra time allowed," he insisted. One of the highly anticipated meetings for the Irish PM in Belfast was the one with the leader of the Democratic Unionist Party (DUP), Arlene Foster, who was Northern Irish first minister until January and is trying to form a new government. 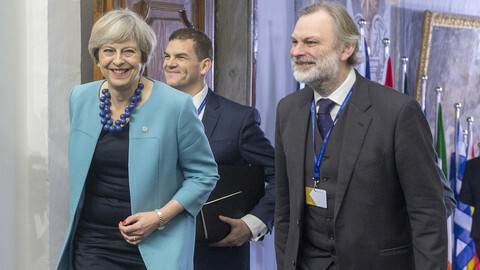 The DUP, following a with the Conservative Party, also provides UK prime minister Theresa May with a majority in parliament. Earlier this week, Foster accused Varadkar of "disrespecting the will of the British people" after he said that he would not help Brexiteers to build an economic barrier between the Northern Ireland and the Republic. While her finance minister is pushing for a soft Brexit with a simple transitional deal in place, the British PM insists on hard Brexit with free movement of people ending in March 2019. 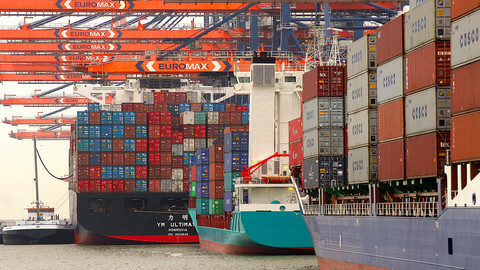 Britain wants to keep its EU customs privileges after Brexit but also wants the freedom to negotiate other trade deals. Just over a year after a small majority voted for Britain to leave the EU, new realities are dawning on both the in and the out camps.